Placidity and relaxation through warmth – more and more people enjoy this and create wellness areas with saunas, steam baths and rest areas in their homes. Plants, water and stone which are harmonically aligned are the perfect combination so our body can find peace and harmony. Every single piece of MEGASTONE rocks is unique. The design will be coordinated with the space that you offer – it can be a simple rock panelling, a well or a complete landscape design – everything is possible. We also offer solutions for the public sector. 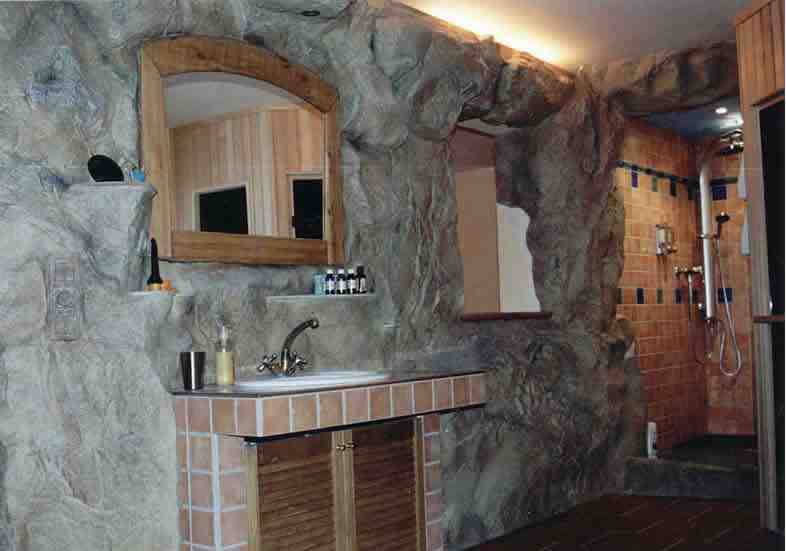 MEGASTONE rocks are perfect for private and the public sector. Wellness areas at home, resting areas in the public sector or even a spectacular desing of a entry area: everything is possible. MEGASTONE offers you an individual solution. Please contact us – we offer a non committal counseling session.